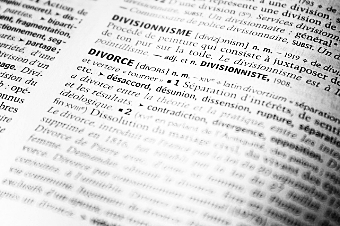 How to Prepare for Your Divorce — Law Offices of Douglas Ray York, P.C. Of course, you will want to gather the necessary documents and records that will be useful to a forensic accountant assessing your situation and will assist your attorney in obtaining a fair financial settlement for you. Prepare to provide any financial information that is required. But there are other steps to take that may not be so obvious. The best advice any divorce attorney can give a client is to stay off of social media. You don’t necessarily need to delete your accounts but you should use them very sparingly—and should NOT use them to denigrate your spouse or to argue your case to the world at large. If there is a third party involved in your situation, do not present that person with expensive gifts such as jewelry, cars or travel. Money spent in that way can be considered “waste” of community property. In any case, it is not likely to create a favorable impression in the minds of a judge or jury. Do save and preserve texts and email messages that illustrate your situation. Do maintain calendars that keep track of who takes the children to school and picks them up, who takes them to doctors’ appointments, who attends birthday parties, soccer games, school fairs, PTA meetings and meetings with teachers to assess a child’s progress. Make a list of doctors, teachers, school officials, parents of your children’s friends, and anyone else who can testify to your involvement with the children.